Robert D. Funk, M.D.is a fellowship-trained, double board-certified minimally invasive spine specialist. Dr. Funk has extensive training in advanced non-operative interventional techniques of the cervical, thoracic and lumbar spine and is board certified in anesthesiology and pain medicine. 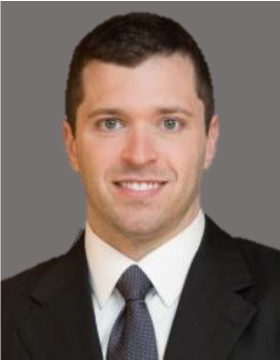 Dr. Funk is an Indianapolis native and attended Indiana University School of Medicine. He then completed residency and fellowship at the University of Michigan, recognized as one of the top training institutions in the country. During residency, he was elected chief resident highlighting his commitment to excellent clinical care, leadership and positive professional interaction. After residency, Dr. Funk completed a pain medicine fellowship involving extensive experience with spine and ultrasound-guided interventions. This specialized fellowship training and his focus on continuing education allow him to offer the latest in safe, proven interventional techniques for all types of spine pain. Dr. Funk has published in peer-reviewed journals and presents at international and national society meetings. Additionally, he has special interests in vertebral compression fracture management (kyphoplasty, vertebroplasty), spinal cord stimulation and spinal facet disease. You are being redirected to the Medical Academic Center. An affiliation of Indiana Spine Group.